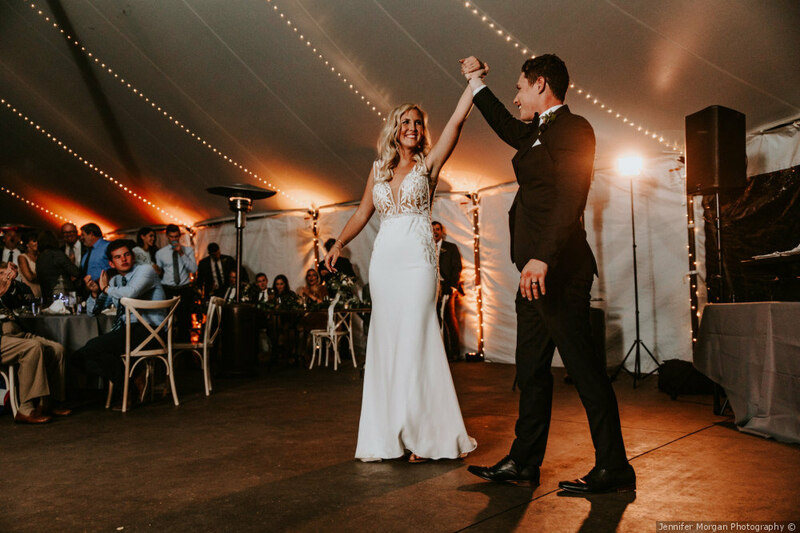 So in Part 1, we discussed some popular questions that may come up when booking your Wedding DJ. In Part 2, we will discuss some less frequent, but still highly important, questions in order to figure out who is ultimately the best fit for you and your fiance, as well as your guests. Will the DJ work well with other vendors? Why it's Important: This is very important because vendors make your world go around. They take care of everything from flowers to food. They keep everything on track and when they work together flawlessly, they pull off a spectacular wedding. Maybe the photographer knows something the DJ doesn't, if they didn't tell the DJ he wouldn't be able to MC on time. Team work makes the dream work. Why it's Important: The day of, can they be told one thing and maneuver many different responses and still be standing at the end? Flexibility is a key part in being a DJ. Your day may or may not be right on time, but by being flexible and having a relationship with other vendors, they can work together to get everything back on track, and if done properly, you won't even know! Do they have an insurance policy? Why it's Important: Liability insurance would cover you, your guests, and the venue. A legitimate DJ would even offer to send over the certificate. Some venues even require this. Do they have a gallery of work you can tour? Why it's Important: Maybe you are about to book them, but you are curious if they have any promos that you can watch just to push you over the edge. This isn't as important as some other questions, but you could end up booking a DJ that plays the same 5 songs on repeat. Do they offer more than just music? Why it's Important: Some Entertainment companies even offer fog machines, uplighting, projectors and screens, karaoke, photobooths, monograms, and more. Before getting the final quote, ask them if they offer anything else and if they can tie that into your original quote. This could save money in the end. Do they have a Day-Of phone number? Why it's Important: Most coordinators will want a day of contact for every company associated to your big day. This is completely normal. It isn't like you are in the middle of hair and make up getting excited AND having to call all of your vendors to make sure they are on time. If you don't have a coordinator, you can always give the phone number to your Maid of Honor. How many hours will the DJ participate? Why it's Important: Some DJ companies will offer a limited time, while others might offer until midnight. This is important because you wouldn't want to be dancing on the dancefloor and the music magically shut off because you weren't aware of the limit. It's also easiest to gauge this when you have a basic timeline to go off of. Why it's Important: Master of Ceremonies. There have been far and few in between, companies that train their DJs, let alone teach them how to MC. MC is the director of the night. They direct the audience to you and this draws your guests in. Ask your DJ if they have an MC voice. If anything, you'll get a good laugh. How many weddings do you participate in every month/year? Why it's Important: You would want to ensure that not only they are legitimate, but that they come recommended. It's hard to be recommended when they don't do many shows, so not many people have heard of them. You can also check reviews for reputation.